Outdoor set of 24 numbered play mats and a holdall for convenient storage and easy transportation. 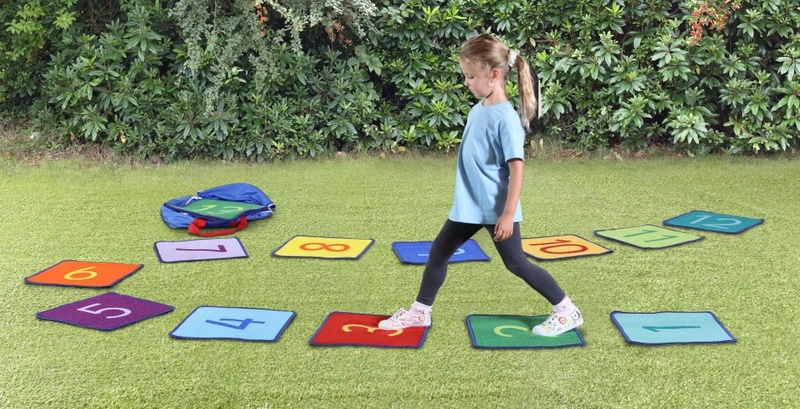 Brightly coloured distinctive design encourages learning through play and interaction. Complies with all relevant safety standards.